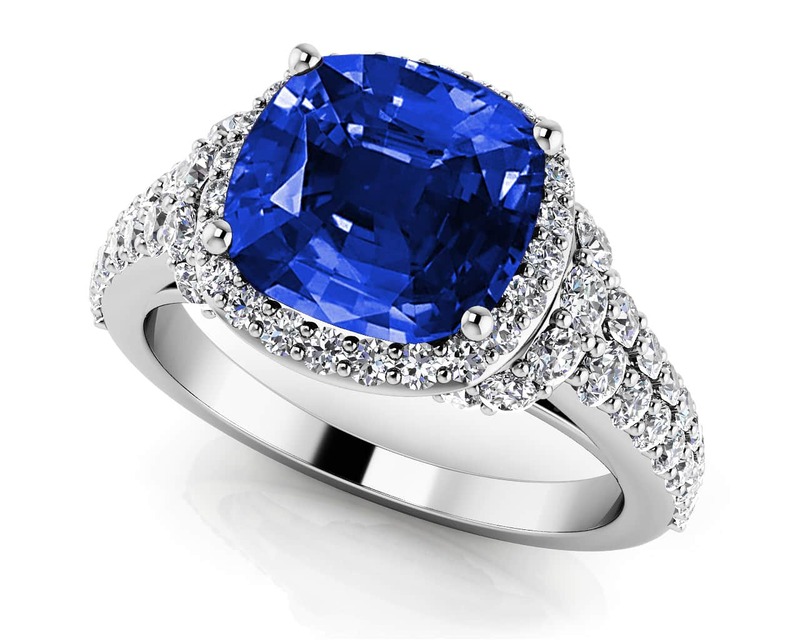 Total Carat Weight: 1.16 ct. This heavenly ring features a double row of diamonds on the shank that gradually build to the stunning cushion cut gemstone. 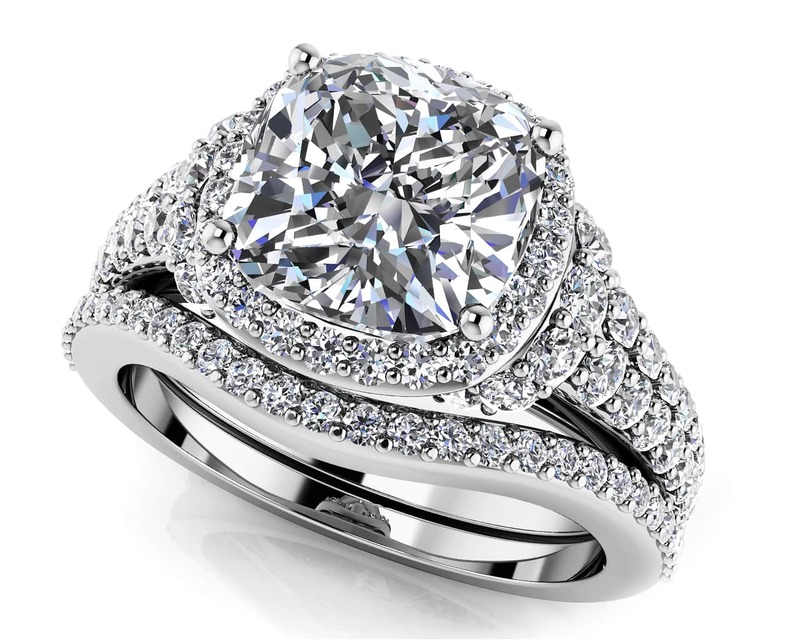 After one look of this ring, you will be on cloud nine. Customize the ring to your exact taste and budget by selecting the metal type, total carat weight, diamond quality, size and gemstone. All gemstones are AA quality. 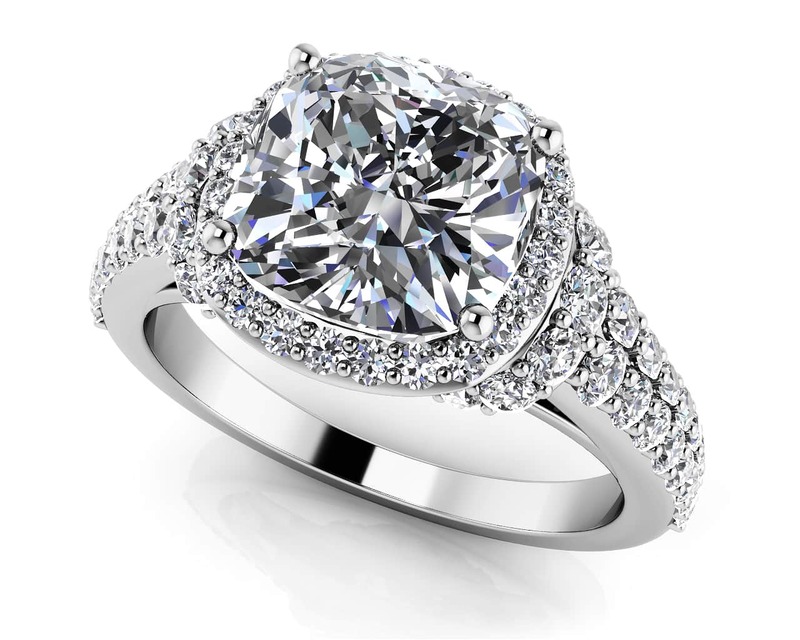 Model Carat Weight: 1.16 ct. Effective Carat Weight: 1.16 ct.
Stone Carat Weight: 35X.005 ct., 8X.007 ct., 4X.008 ct., 4X.010 ct., 8X.013 ct., 4X.015 ct., 6X.020 ct., 2X.037 ct., 1X0.500 ct.